Feel free to pick whatever color cap and gown you would like!!! *Please note that graduates are not required to attend the Graduation Ceremony. If you have a graduate who does not want to attend the ceremony, please look here for more info. 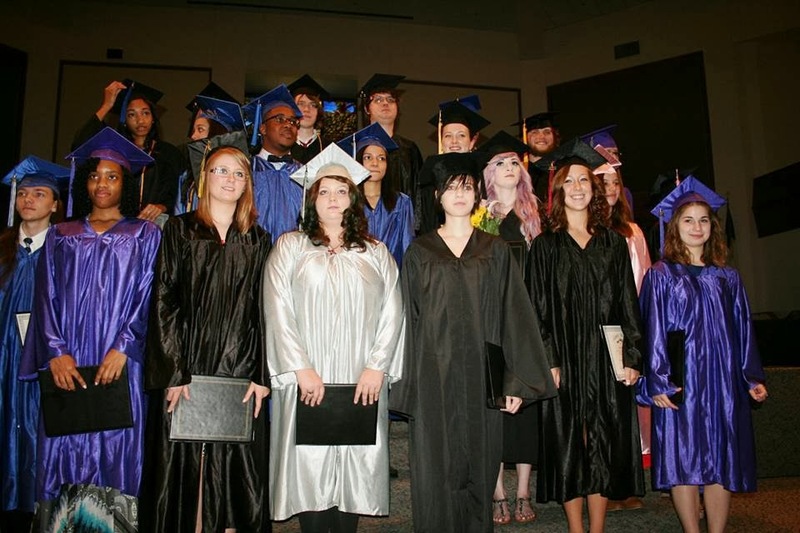 Everest Academy offers a very special High School Graduation Ceremony. What makes this ceremony so special? The families of course! We are homeschoolers, so we do not have to follow tradition. We can do things our own way. You can choose to present your child's diploma or request that the administrator of Everest Academy do so. Your child can give a performance or a speech if they so choose. We encourage the graduates to bring samples of their work, scrapbooks, pictures, experiments, creations, etc to put on display. Transcripts, Diplomas, and Padded Diploma Cover will be provided. All High School Graduates must complete and submit the following by March 15. Fees - Payment, transcripts, and Graduation Registration Form must be postmarked by the deadline dates. Please note: All fees and Graduation Registration Forms are due no later than March 15 and are nonrefundable after March 15. 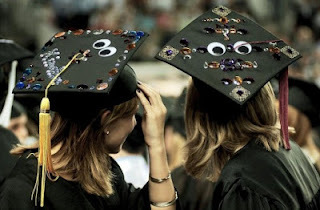 If you register and pay for graduation after March 15, late fees will apply. Please see the registration form for details on late fees. No new registration will be taken after May 7. No exceptions. Please don't ask. ***April 1 is the deadline for anyone wishing to participate in the graduation slideshow. Those who register for graduation after April 1 will not be included in the slideshow. Pictures for slideshow deadline is April 1 and will be posted to closed Facebook page. Everest has a deadline to meet for the slideshow pictures. No exceptions will be made for accepting pictures after April 1. Mail in a money order or cashier's check to the address below. Please also include the Graduation Registration Packet. You can also email in and make payment online. Questions? Contact Deb Spradlin at everestacademy1@gmail.com or 205.433.9828 (email preferred). I was so impressed with how well this was done. I have so many sweet memories of that day that I will always treasure. One of the few fears I had of homeschooling was that we might miss these types of activities. Once I had seen the Everest website and talked to Deb and seen what Everest had to offer I was somewhat relieved. Though I must admit that I still wondered how it would all work. I must say that this first year of "official" homeschooling has been great. We have met so many great families and had so many great activities to attend. But this graduation ceremony was the icing on the cake. I was beyond pleased. Thank you so much to Deb, Sue, Briana and all the others that worked so hard to make that one day such a blessed event. It may have been just one day but it encompassed so much more. It solidified to me that homeschooling families need not give up anything in order to do what is best for their children. I felt so happy and so blessed to be a part of such an awesome "family" as I sat at the ceremony. I wiped a few tears and fought back many more (I have a tough exterior to uphold LOL) as I saw the awards and diplomas given out. Thank you again to the many people who made this year and the graduation a wonderful bunch of memories for my family.